Screening for Obstructive Sleep Apnea starts with an appointment with our Registered Respiratory Therapist. If you suspect you may have sleep apnea you have the option of getting a referral from your family doctor or you may contact us directly (please note there is no charge for this service if we get a physicians referral). We will make arrangements for you to do an overnight home sleep test and fill out a comprehensive sleep questionnaire. Once your test has been completed, it will be reviewed by a Registered Respiratory Therapist and results will be sent to your doctor. Read more about sleep apnea diagnosis here. For more information please contact Vancouver Sleep Solutions at 604-558-0055. A device called the MediByte enables at-home overnight testing for sleep bruxism and might help diagnose bruxism before damage appears on the teeth. 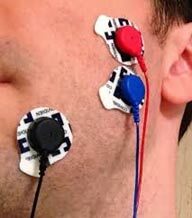 The device senses jaw muscle activity while the patient sleeps. We can then establish the frequency of bruxing, which helps in choosing a treatment plan. If you are interested in testing or wish to book a consultation, please feel free to contact us. After your sleep test has been downloaded and reviewed, you’ll have a consultation booked to discuss, in detail, the results with a Registered Respiratory Therapist. This initial consultation may, or may not, include initiating CPAP therapy. A Registered Respiratory Therapist will be there to help you throughout your evaluation period to ensure that your therapy and equipment is optimal and comfortable in order to obtain the best results. Your initial evaluations include regular office visits, sleep data transmission via cellular modem with reports for your doctor, followed by life-long evaluation of therapy. 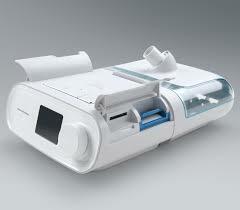 CPAP is the leading therapy for the treatment of obstructive sleep apnea. Patients wear a face or nasal mask during sleep which is connected to a pump which provides a positive flow of air into the nasal passages in order to keep the airway open so you have a restful, uninterrupted sleep. If used consistantly, CPAP therapy will improve your quality of life by giving you an improved night’s sleep that is free from snoring, giving you more energy during the daytime. It also decreases your chances of serious health risks such as heart attack, stroke, high blood pressure and diabetes. Most insurance companies now pay for CPAP equipment and treatment. A successful treatment for patients who suffer from snoring and/or sleep apnea and desire a comfortable and convenient alternative to a CPAP machine. An oral appliance, custom made to fit your mouth, can improve the quality of your life and health. Dentists who focus on sleep disorders can prescribe oral appliance therapy to treat patients suffering from snoring or sleep apnea with a completely customized solution. It is a mouthpiece worn at bedtime, similar to a night guard or retainer, and is designed in a way to counter breathing obstruction so that patients who usually suffer symptoms of sleep apnea or snoring can experience uninterrupted, continuous breathing while sleeping. More specifically, an oral appliance keeps the soft tissue from collapsing, which is largely the cause of interrupted breathing patterns while you sleep. Since the oral appliance is a comfortable alternative treatment for sleep medicine, you will not notice while you sleep that it is hard at work readjusting the lower jaw, tongue, soft palate, and hyoid bone in a way that maintains an open airway,stabilizes the tongue and jaw, preventing any collapse that may lead to blockage. 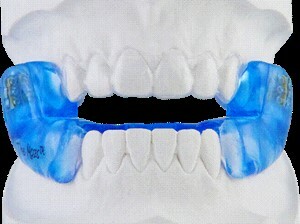 Each patient’s oral appliance is specially made for your unique fit and comfort. While both sleep apnea and snoring are complicated health issues, the oral appliance is a simple, proven solution. While CPAP is the “gold standard” for treating sleep apnea, many patients find it cumbersome, noisy, difficult to use, and hard to travel with. Fortunately, for patients who find they are not compatible with CPAP, Vancouver Sleep Solutions offers oral appliance therapy as an alternative that works just as well and is just as affordable. The most important thing we can offer our patients is an alternative. If you find yourself not tolerating CPAP, and therefore not correctly using it, an oral appliance can be your simple solution. Vancouver Sleep Solutions offers you a carefully chosen selection of sleep equipment and accessories that are proven to be of the highest quality. Along with providing you with the highest level of care available, we will also follow up with you on an annual basis and provide detailed reports to your family doctor. We’re pleased to assist you with your Extended Health Benefits coverage by obtaining pre-approvals and submitting invoices directly with equipment purchase. Feel free to check out some of our “Sleep Solutions” in the products section. See our Preferred Health Partners page for specifics.